Supercars’ rule-making Commission is set to review and rule on the findings from a recent centre-of-gravity test undertaken by the category’s technical department. Centre of gravity (COG) has been in the spotlight since Ford’s new Mustang debuted in Adelaide, winning all six races across the season-opener and Albert Park. Ten cars were taken to Kelly Racing’s workshop following the Melbourne event, where a test rig was used to determine the COG of each vehicle. DJR Team Penske, Tickford Racing, Triple Eight, Walkinshaw Andretti United, Garry Rogers Motorsport, Erebus Motorsport, Brad Jones Racing and Kelly Racing cars were all used for the test. A lengthy analysis was subsequently undertaken by Supercars’ technical department and provided to the Commission. “Head of Motorsport Adrian Burgess and the Technical Department have completed the Centre of Gravity analysis with recommendations to be tabled to and considered by the Supercars Commission as soon as possible,” read a Supercars statement. 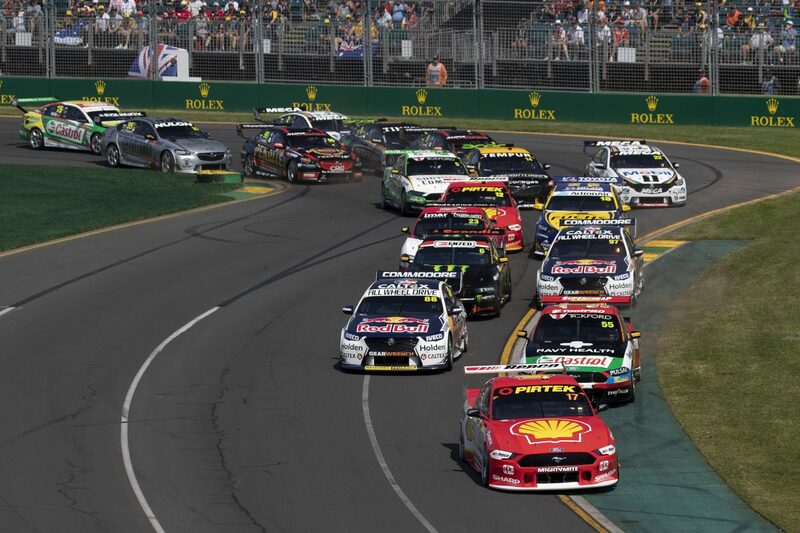 The next round of the Virgin Australia Supercars Championship will take place at Symmons Plains from April 5-7.